During Philly Wine Week, Bar Amis is offering $6 glasses of Rosé and $9 Frose all week long! Indivisible an extraordinary true story of Army Chaplain Darren Turner and his wife Heather, whose lives are fully devoted to serving God, family, and country. Join the Chapel of Four Chaplains for a free showing of Indivisible. Dive in and learn the basics or refine your practice at Nava Yoga Center! The Navy Yard, in partnership with Community Recycling, will be collecting all types of gently worn shoes to benefit the Philadelphia chapter of Back on My Feet. Collection bins will be located all over campus. Join Navy Yard businesses to help fight heart disease in women. American Heart Association and FS Investments hosts a panel talk on nutrition and fitness to support heart health featuring women from Vetri Community Partnership, Jefferson Health, and Main Line Health. Learn about the art of whole-animal butchery during an interactive class at Bar Amis. The class includes instruction, house wine & beer, assorted snacks, and specialty cuts to take home. $125 per person, tax and service included. Want to learn more about Penn State Great Valley’s MBA program offered at the Navy Yard, but can’t leave your desk? Register for a one-hour webinar to hear program details, scholarship and admission information, and more. The Chapel of Four Chaplains will host the 19th Street Baptist Church for a 12-noon service as a part of Holy Week. Executive Chef & recent “Chopped” Champion Kristina Wisneski will battle it out with Danny DiGiampietro, owner of Angelo’s Pizzeria. Both chefs will be challenged to use the secret ingredients to create a delicious four-course meal for the judges – YOU! Meet the woman who made Philadelphia the City of Murals! Jane Golden, Executive Director of Mural Arts Philadelphia, has been the driving force that grew a small city agency into the nation’s largest public art program and global model for transforming public spaces and individual lives through art. Join us for a free morning lecture at FS Investments. Pre-registration is required. Celebrate National Bring Your Child to Work Day for another jam-packed day of work and fun! Enjoy pay-as-you-go food trucks, a variety of educational and interactive activities, and more at the Marine Parade Grounds. Registration is open. The Philadelphia Antiques and Art Show presents its 57th year of showcasing the country’s preeminent dealers of antiques and fine art. Returning to the Navy Yard, 62 exhibitors will offer a vast selection of decorative and fine art spanning the 17th century to the present. The 2019 CHOP Walk for Hope is a fundraising and awareness event held in Crescent Park for pediatric inflammatory bowel disease research at Children’s Hospital of Philadelphia (CHOP). The Pediatric IBD Center at CHOP is the largest and most advanced program in the world dedicated to the treatment and study of IBD in children. The March of Dimes brings its March for Babies event to the Navy Yard! This event is a 5k/10k run and 5k walk to support programs that help moms have healthy, full-term pregnancies, and funding research to find causes and preventions. Save $5 on registration with offer code Yard19. Need a place to recycle confidential documents, old electronics, dead batteries, and gently used shoes? Then it’s time for a spring cleaning! During Lunch Truck Lineup on the Marine Parade Grounds, we’ll collect these items for FREE paper shredding, FREE electronics recycling, and FREE battery disposal. This will also be the last day to drop-off gently used shoes for the Back On My Feet Shoe Drive. Join us for the exclusive Navy Yard employee-only Craft Beer Summer Sampling event. The Navy Yard and Starfish Junction are offering free tickets to the first 500 registered Navy Yard employees for an exclusive beer tasting at the Marine Parade Grounds. The food trucks are back! Philly’s favorite mobile vendors have returned to the Marine Parade Grounds! Keep an eye out every week as we announce the lineup on the Navy Yard’s social media channels. Toastmasters International is a non-profit educational organization that teaches public speaking and leadership skills through a worldwide network of clubs. The Toastmasters Sub and Surface Club meets at the Navy Yard. Please contact the Club at 215-983-4897 for meeting details and more information. Join us on Wednesday, June 12 for a Phillies pregame tailgate hosted at Bar Amis, featuring exclusive food and drink specials for Navy Yard employees, family, and friends attending the Phillies game. Tickets are $20 each and food deals at the tailgate include: $5 burgers, $2 hot dogs, $1 popcorn bags, and $3 beer. Navy Yard businesses can take advantage of free discounts on annual passes and discover the joys of bikeshare. 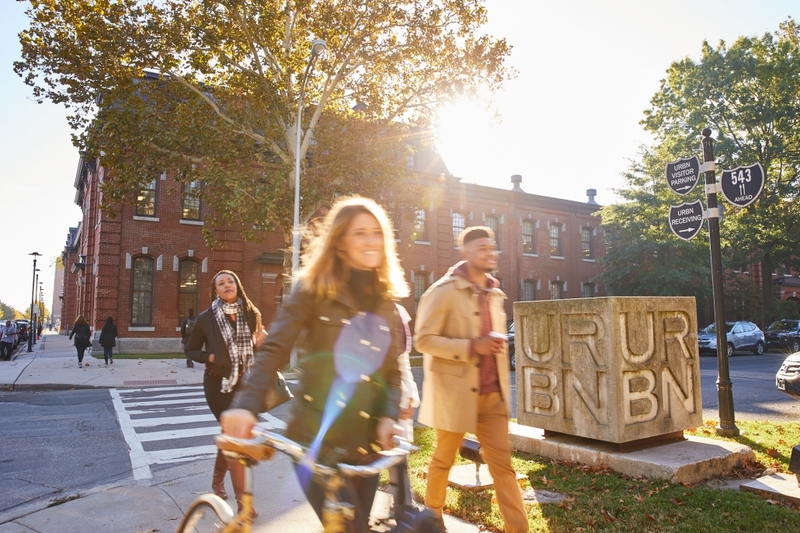 Take a step to help improve your employees’ health while gaining access to substantial discounts on one of the most affordable transportation option in Philadelphia! Take advantage of the Navy Yard special offer and watch the Philadelphia Union take on the New York Red Bulls. Tickets are $25.